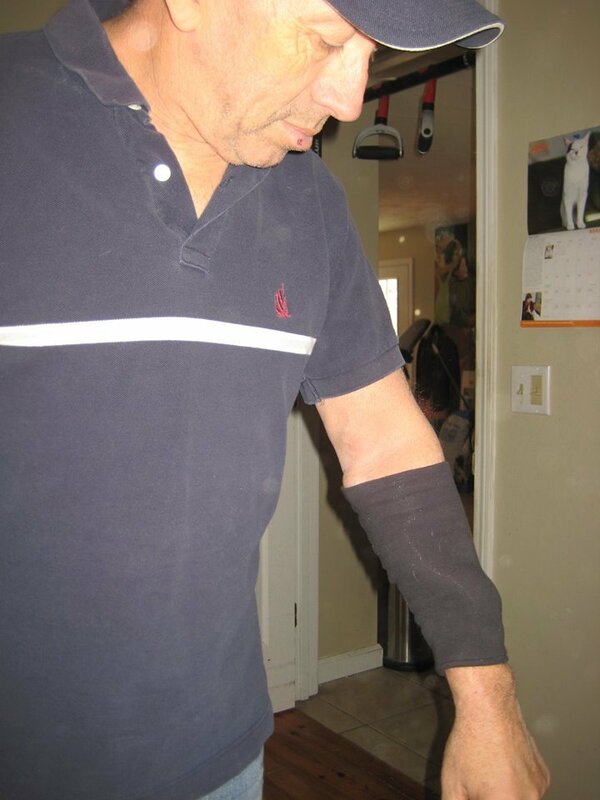 Dialysis Arm Bands - Be Self-Conscious no more. ORDER AT THE BOTTOM OF THIS PAGE. 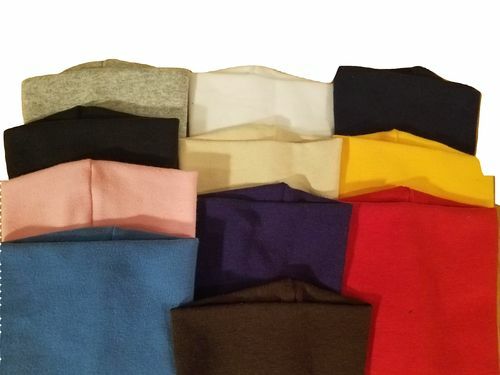 Currently available in the following colors/patterns: Black, White, Gray, Navy, Beige, Brown, Red, Pink, Tangerine, Dark purple, and Denim Blue. Water resistant version available in black. 6 inch & 8 inch tapered lower arm versions. Upper arm version is 7 inches. As well as a water resistant version in black. If your dialysis fistula makes you feel self conscious then you have found the right product. 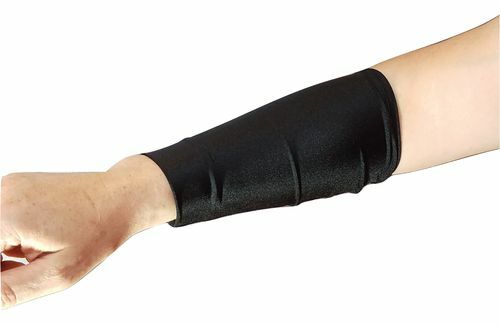 These arm bands are the perfect access cover for arm fistulas. 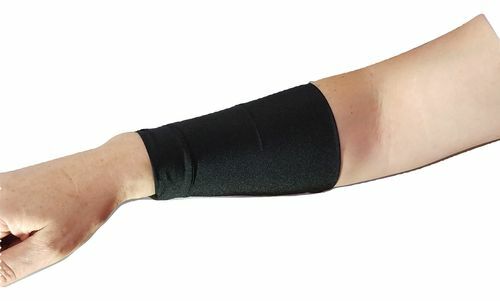 Our Dialysis Arm Bands are made out of soft stretchable cotton that does not cause any restriction that could cause you harm. They protect against the Sun's UV rays as well as minor cuts & abrasions. They are easy to wear & easy to wash. Designed by a Dialysis Patient. Money orders & Checks accepted. You can also order on Amazon and Etsy or call to place a phone order. -I have been wearing Dialysis Arm Bands for a few years and am very pleased with them. They not only cover my access saving me some embarassment but they also protect it from the sun and exposure to possible contaminants. I'm very pleased with the construction and durability. They wash up easily. They are also very comfortable. In fact I feel undressed when not wearing one! - Before I got the Dialysis Arm Band I was self-conscious about my arm because everyone was always staring. Being a dialysis patient is hard enough, but now with the Arm band I have my privacy and peace of mind. Your product has changed my life; I'm able to wear short sleeves and tank tops without worrying about my arm being stared at all the time. 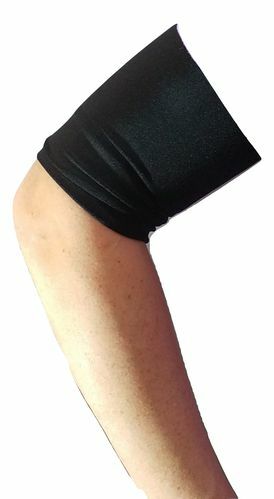 The arm band is incredible, it's very comfortable and does not feel constrictive at all. After searching for so long, I am grateful to have found your arm band. Its perfect and the color selection is great too. I will definitely recommend your product to my fellow dialysis patients where I recieve treatment. Keep up the wonderful work! * Please email for a international shipping quote. Disclaimer: Dialysis Arm Bands should never feel constrictive. If it feels tight don’t wear it. Always check with your Dr. first. Arm band to cover Fistula's located on the arm for Dialysis patients. 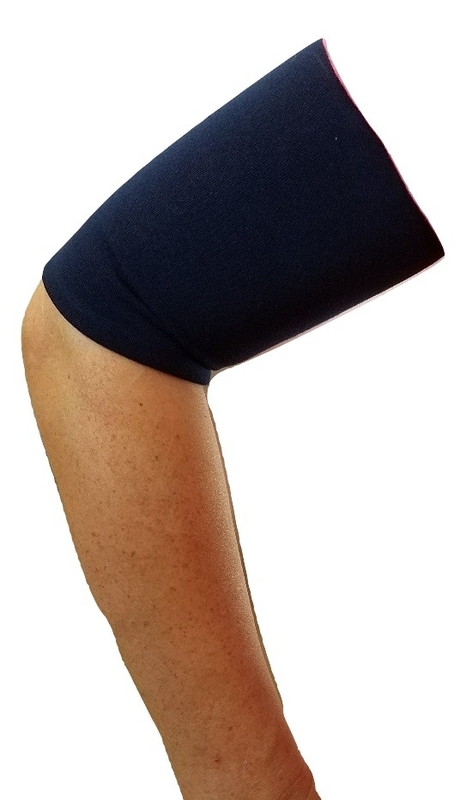 8 inch cotton stretch arm band for dialysis patients with arm fistulas. Provides protection and prevents sun damage. Unrestrictive. For those of you that like to swim! 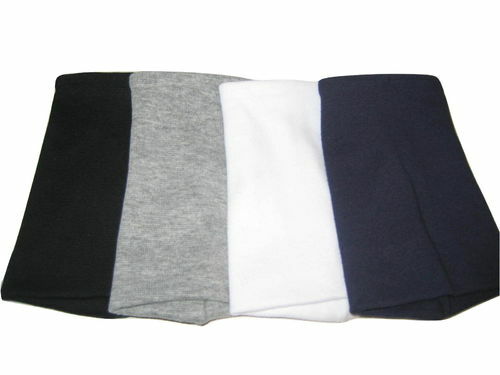 This spandex band offers the same great qualities that our other bands have, but also wicks away water and dries fast. Save money and buy the four pack. Mix and match colors and styles. 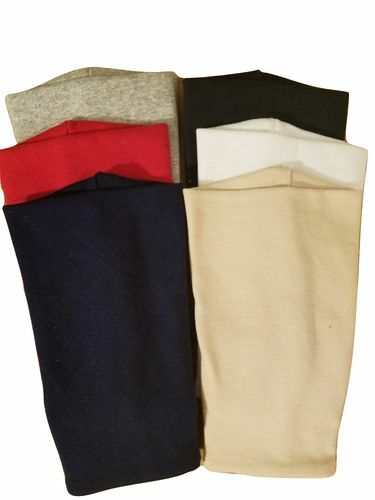 Stock up and enjoy an 6 pack of our arm bands in our most popular colors (Black, White, Navy, Gray, Brown, Beige, & Red) or email if you prefer different colors or patterns. Can be in 6", 8" or Upper arm.